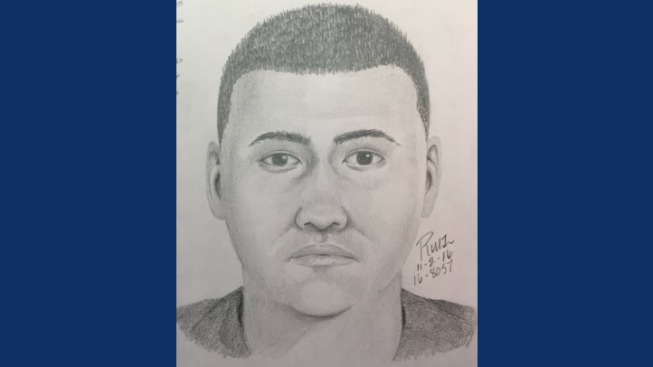 Sunnyvale's Department of Public Safety has released a sketch of a man who allegedly exposed himself to a girl while sitting in a car last week. On Nov. 1 around 5:30 p.m., a driver parked in the 700 block of Morse Avenue near Columbia Middle School asked the girl walking by for directions, public safety officials said. When the child went up to the car, the lone man was exposed and thanked her before he drove away, according to public safety officials. The girl quickly reported the incident to an adult in her family, who in turn alerted authorities, public safety officials said. The suspect was described as an Asian or mixed race man in his 30s who was clean-shaven with dark, spiked hair, public safety officials said. He was in a dark or metallic newer-model SUV, according to public safety officials. Anyone with information on the case is asked to call Detective Tony Serrano at 408-730-7130.